The industry in question extensively operates in the offline space, in terms of marketing and operations. Like every branding activity, it is rudimentary to stick to one message across all media. This ensures good brand recall and all future brand activities will be based on the brand image the existing message has created. Adapting to digital spaces, companies must not leave the message behind, which happens often. If you intend to modify the look and feel of your brand on one platform, make sure you adopt the same on the other platforms as well. Like we said before, the website is part of an important branding activity and working on it pays. One of the reasons for having a website is to communicate your brand’s image to its audience other than being a useful source of information for them. Consumers today indulge in extensive research before actually investing in an insurance policy and more than half of those consumers conduct that research on digital platforms. Make sure your website provides every piece of information your audience needs. There are some really good corporate branding service providers out there who can help you tackle website obstacles. For your consumers to be able to access every piece of information on your site, it needs to be user-friendly. The loading time should not cross three seconds or you lose your visitors. You also need to work on the personalization of your data. For that, you need to intimately understand your audience, only then will you be able to deliver relatable content on your website. Your web content should also focus on driving action and purchases. When you optimize your content by using effective SEO techniques you can drive organic traffic and increase visibility. Buying an insurance is not a small or a short-term decision. Insurance renewal is a recurring process and consumers might even switch among providers. Efficient content marketing techniques help you gain the trust by establishing your brand as a thought leader in the field. If you have strong SEO back-up, your website will witness a rise in organic traffic that has a positive effect on website ranking and is also one of the most effective ways to capture a wider audience. Your web content can comprise blog posts, informational videos and guides. These types of content help boost engagement and take your consumers from the awareness stage to acquisition and eventually to retention. When your content marketing strategy is being devised, think about it from the consumers’ point of view too. So that your audience will be able to recall your brand better and will think about you when they choose an insurance provider. This may sound vague, but social media is equally important for insurance companies as it is for other brands. Offline insurance marketing has only been successful in penetrating 20 percent of women and 23 percent of men in India with health insurance. Whereas, there are about 240 million Indians on social media. See the kind of opportunity there is? Social media is known for its power in engagement and brand identity building. As an insurance company, you can also get creative with your posts and craft a digital marketing campaign that highlights product awareness, while entertaining the audience. Insurance companies are flooded with customer inquiries every single day. Constantly updating your FAQs is one of the most useful activities you can do, but it can also be quite tedious to carry out. However, this is the main factor for companies to generate leads. In order to streamline this process and handle large-scale customer queries, many companies are opting for AI-powdered solutions like chatbots. Insurance-related queries are by-and-large broadly related to price, duration and terms of various insurance plans, chatbots can answer these queries in a jiffy. As per research data, 69% of consumers prefer interacting with chatbots rather than with humans. Opting for paid advertising can be a fast and effective lead generation tool for digital marketing for insurance companies. Some of the most effective platforms for insurance companies to advertise their services and gain customers are Google Search and Display, LinkedIn, Times Internet, Native and Affiliate ad networks. These platforms work like effective lead generation machines for insurance companies. This advanced targeting makes it easy for you as an insurance company to target audience online. You can target audiences using their demographic, psychographic and geographic data. Digital media has only enhanced targeting and engagement in a way that digital media hasn’t. This is very important for an insurance company for one to gain new policyholders and retain existing ones even after the expiration of a policy. The most effective lead generation method is drip email marketing. This method generates target communications for customers at every phase of the decision process. 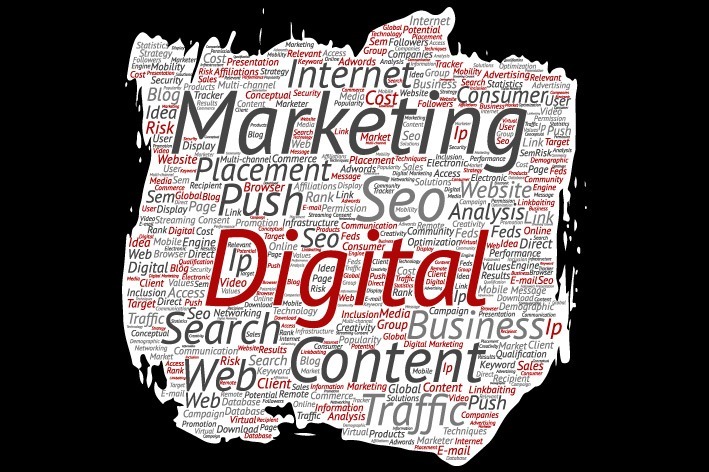 In conclusion, digital marketing is obviously advantageous for insurance companies. Even though this segment has not been active on digital platforms, it is evident that making the shift will help an insurance company broaden its audience and gain more visibility.